The cross loomed menacingly just days away. Jesus’ mind was already on that fateful day as He traversed the crowded streets of Jerusalem. As His disciples marveled at the grand architecture of Herod’s Temple, Jesus’ thoughts were on the future of His impending death and beyond. “See ye not all these things? verily I say unto you, There shall not be left here one stone upon another, that shall not be thrown down” (Matthew 24:2). This prediction literally came to pass just 40 years after His crucifixion when the Roman general Titus razed Jerusalem in 70 AD and leveled the Jewish Temple. Not a single stone of that edifice remains. For those who unknowingly point to the Wailing Wall that stands next to the Muslim Dome of the Rock, I must point out that the Wailing Wall is the remains of the Roman Antonia Fortress that surrounded the Temple and was not actually a part of the Temple. That remark gave pause for thought, and when they arrived at the Mount of Olives, the disciples naturally wanted to know, “Tell us, when shall these things be? and what shall be the sign of thy coming, and of the end of the world?” (Matthew 24:3). As we assess that state of our world, the same question comes to mind. In response to the disciples’ question, Jesus launched into his “Olivet Discourse” where He spoke of the rise of false Christs, wars and rumors of wars, the increase of iniquity, the demise of love, and the rise of the Antichrist (the “abomination of desolation”). The fig tree has often been seen as a symbol of the nation of Israel. Jesus uses this symbol to indicate the proximity of the time. When the fig tree, i.e., Israel, is tender and begins to bud, we know that summer, i.e., the time of His return, is near. 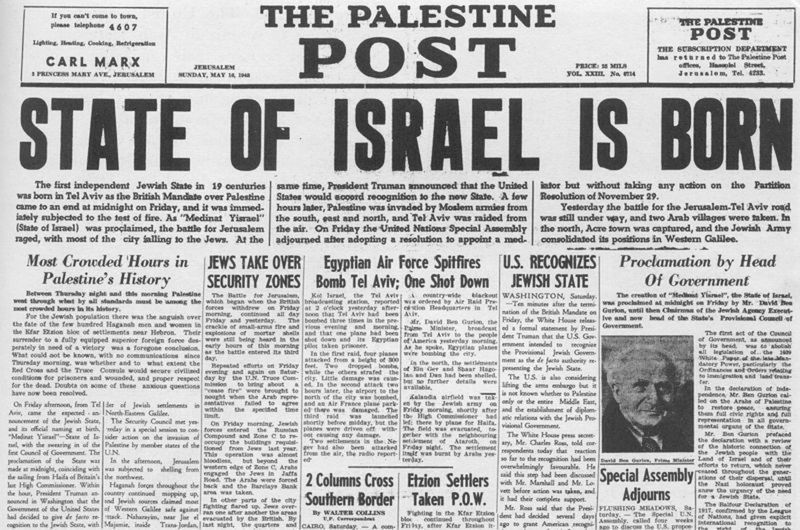 After the destruction of Jerusalem in 70 AD, the nation of Israel ceased to exist until May 14, 1948 when the “fig tree” budded and the nation was reborn. “This generation shall not pass, till all these things be fulfilled.” Jesus was not referring to the disciple’s generation, because even though they witnessed the destruction of the Temple, Jerusalem and the nation of Israel, they did not see the return of Christ as reigning King. They did see Him after He rose from the grave, but then He returned to heaven (Acts 1:9). Jesus referred to the generation that would see the rebirth of Israel. The question remains, how long is a generation? It could be 100 years when we consider that Abraham was 100 years old when Isaac was born (Genesis 21:5). It could also be the span of Abraham’s life, 175 years (Genesis 25:7). But the answer is more basic than that. Jesus was not giving a definite number of years. Recall that He said that no one except the Father knows the time or the hour. Instead, Jesus said that the generation that witnessed the rebirth of Israel will also see His return. The generation born in 1948 is now 67 years old, and most of them are still going strong. If we consider the “Greatest Generation” that fought in World War II, many of them are still living, but they are declining in number – that narrows the time even more. Either way the time is drawing very close for the Lord’s return. Before He does, there precedes seven horrible years of Great Tribulation that will engulf the entire world. I am concerned for friends and loved ones that will live though that dreadful time. While there will still be opportunity turn to Christ during that time, the decision will be costly. For those of us who have placed our trust in Christ, our Lord will come for us sometime before that dreadful day – maybe today. This Generation, the one in which we live, will see the return of Christ. Are you ready? These are exciting times in which we live. The world’s attention is focused to the time around mid-September. End-times Bible prophets point to the Jewish Fall Feasts (more accurately, the Feasts of the Lord), and note that this year’s feasts are more significant than any others in the past. Jonathan Cahn, author of The Harbinger, recently released his latest book, The Mystery of the Shamitah, where he meticulously points out that in recent US history, Shamitahs have resulted in economic collapse demonstrated by huge drops in the stock market. The Shamitah is the seven-year cycle assigned by God (Leviticus 25:4) where the Jews were required to leave the land fallow for the entire year to give it a rest – a Sabbath for the land. The Jews failed to keep the Shamitahs for 490 years (7 years x 70 Shamitahs) resulting in their 70 year Babylonian captivity (2 Chronicles 36:21; Jeremiah 25:11-12), one year for each Shamitah they failed to keep. You will need to get Cahn’s book for specific details, but in short, he suggests that God’s laws have transferred to the US because of how our nation was founded – “One nation under God.” Our nation is now reaping the consequences for our rejection of God. Cahn observes that every great economic collapse that America has experienced has fallen at the conclusion of a Shamitah year. This year (2015) the Shamitah concludes on September 13. If the cycle keeps true to the pattern, the United States will experience a great economic collapse on September 14. This is due to the fact that September 13 falls on a Sunday when the stock market is closed. I noticed this past week that the stock market took a huge hit dropping over 500 points and making Wall Street very nervous. This seven-year cycle has not escaped many economists; however they cannot explain why this happens. 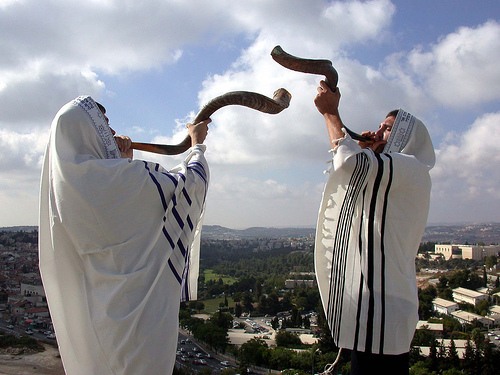 Another interesting event in September is that of Rosh Hashanah (the Feast of Trumpets), which signals the Jewish New Year. This event occurs on September 14. It also signals the beginning of the Jubilee year (Leviticus 25:8). After seven Shamitahs (7×7 or 49 years), the following year was special Shamitah called the Jubilee making a 50-year cycle. At this time all debts were cancelled, all properties were returned to the original owners and all accounts were zeroed. What is significant about this coming Jubilee is that it will be the 70th Jubilee since the law was given 3500 years ago. More could be said on this, but I recommend getting the book God’s Final Jubilee by Dan Goodwin. These are significant events on God’s calendar (which, by the way, does not follow our solar calendar). But even in the secular world, this coming September seems to hold the promise of “something big” happening. 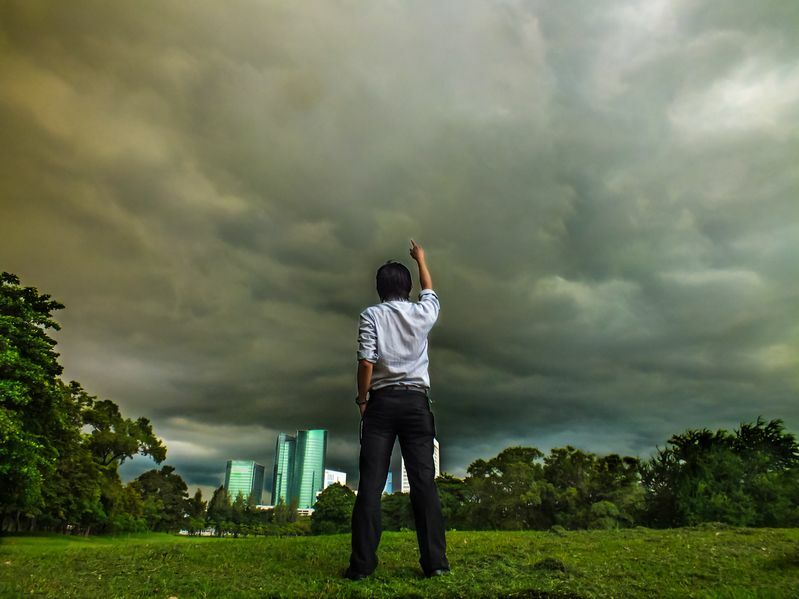 As stated earlier, economists are aware of the 7-year cycle, and even though they do not understand it nor can they explain it, they predict an economic collapse this fall, sometime in September or October. The Pope plans to address Congress on September 24. This will be the first time a Pope has ever addressed the US Congress. This follows immediately after Yom Kippur (the Day of Atonement). Sukkot (the Feast of Tabernacles or Booths) begins on Sunday just three days later. What does this all mean? I do not know, but it is interesting that all these events are converging from the middle to the end of September. Perhaps this is the year that the Lord will call His bride home. That is my earnest hope at least, but I am not packing my bags and heading to the hills. Jesus gave us all our assignments before He left, and He said, “Occupy till I come” (Luke 19:13). Ever since the turn of the 21st century (perhaps even before that), every time this season rolls around, I start looking toward the eastern sky listening for the call of that last trumpet. So far, I have been disappointed, but not despondent. This is God’s plan, and He is in full control. I know that the call will not come until His time is right. Whenever that happens, I am ready! I look forward to September 2015 in anticipation of our Lord’s return. If it doesn’t happen, that just means that we have more work to do. There is also the possibility that I may die before He returns. Either way, I will be with Him. As the last verse of the hymn says, “I know not when my Lord may come, at night or noonday fair, nor if I walk the vale with Him, or meet Him in the air.” The point is, I know in whom I have believed, and I am fully trusting in His sovereign will. How about you? Are you ready for His return? Daniel W. Whittle, “I Know Whom I Have Believed,” Published 1883. Melchizedek is one of the most mysterious characters recorded in the Bible. He makes his debut in Genesis 14, and the totality of information provided about him is encapsulated within three brief verses (Genesis 14:18-20). It is interesting that the “Book of Beginnings,” which meticulously records all the “begets” of who’s who of important personages of early history, completely ignores the lineage of this apparently most significant person. The New Testament letter to the Hebrews does no better at identifying the parentage of this mysterious figure. Of Melchizedek, the writer of the book of Hebrew writes: “Without father, without mother, without descent, having neither beginning of days, nor end of life; but made like unto the Son of God; abideth a priest continually” (Hebrews 7:3, emphasis mine). Some believe that Melchizedek was a real person, king of the city-state of Salem. However, Salem is only associated with Melchizedek in the Bible., Nowhere is it listed with the other cities in Canaan, and it is given no significance other than its association with Melchizedek. Some have suggested that Salem was the former name of Jerusalem. They attribute this to clay tablets found at the Tell el Amarna site, dated at 1400 B.C., identifying Urusalim as an early name for Jerusalem. They conclude that “Salem” is just an abbreviated form of Urusalim, and is therefore the same as Jerusalem. I see several problems with that conclusion. First of all, the date of the Tell el Amarna tablets is about 800 years after Abraham’s encounter with Melchizedek. Israel’s entry into Canaan and the period of the Judges occurred around 1400 B.C. At that time, Jerusalem was known by that name (Jerusalem) and also by the name of Jebus. The Bible identifies Jebus as the city of the Jebusites, and the Jebusites dwelt in the land at the time of Abraham (Genesis 15:18-21). It seems unlikely that the Holy Spirit would refer to the city of Melchizedek as Salem, if He was referring to Jebus (or Jerusalem), and if in fact, Jerusalem existed at that time. Another problem arises when God commands Abraham to sacrifice Isaac (Genesis 22). God instructed Abraham, “And he said, Take now thy son, thine only son Isaac, whom thou lovest, and get thee into the land of Moriah; and offer him there for a burnt offering upon one of the mountains which I will tell thee of” (Genesis 22:2, emphasis mine). It is widely accepted by Jews, Christians and Muslims, that the place where Abraham offered up his son (Muslims say it was Ishmael) was on Mount Moriah, the place currently occupied by the Dome of the Rock in Jerusalem. If Salem were the same place as Jerusalem, why then did God not clearly say, “Go up to Salem and sacrifice Isaac there”? A close inspection of the text gives the impression that the place to where Abraham was directed was uninhabited. Note that God directs Abraham to “one of the mountains which I will tell thee.” This was a private matter among God, Abraham and Isaac. It seems unlikely that God would direct Abraham to a population center. Is Salem Jerusalem? I think not. Jebus, a.k.a. Jerusalem, probably did not exist during Abraham’s lifetime. This would be consistent with the dates of the archaeological finds. So, if Salem is not Jerusalem, then what happened to Melchizedek’s city-state? The validity of the question relies on whether Melchizedek was a flesh-and-blood human being, and whether Salem was a physical place. I contend that Melchizedek was a Theophany – a preincarnate manifestation of the Lord Jesus Christ. I arrive at this conclusion from the description provided in Genesis 14:18-20 and Hebrews 7:1-4. As noted earlier, he is described as having no parentage, no beginning, and no end. Only God claims those qualifications. Furthermore, the book of Hebrews notes that he blesses Abraham, and the greater always blesses the lesser. 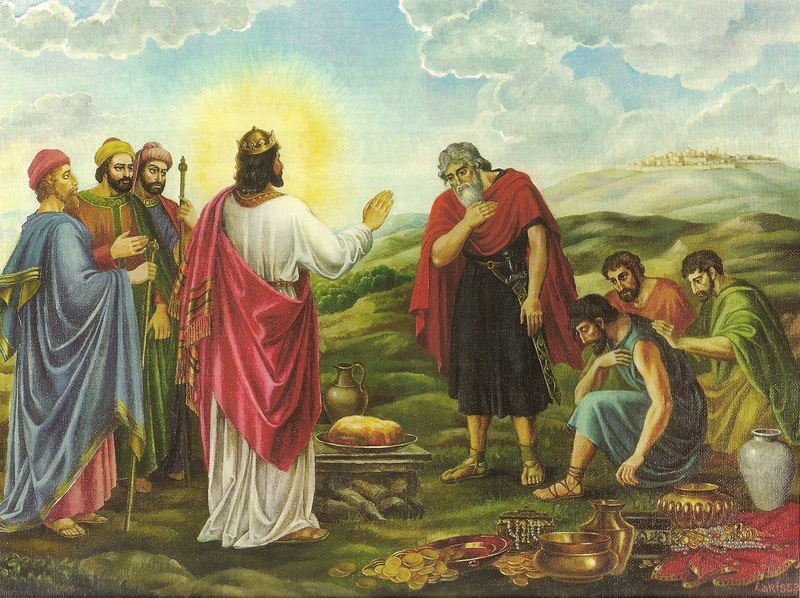 Finally, Abraham offers a tithe (a tenth) of the spoils to Melchizedek. Everywhere else in Scripture, tithes are always associated with service to God, never to men. His name is more of a title. Melchizedek is a combination of two Hebrew words: melek (king) and tsedeq (righteousness). Combined they render “King of Righteousness” or “Righteous King.” And he is the King of Shalem (peace). His full title could then be rendered as “Righteous King of Peace.” Who does that sound like? Salem is not Jerusalem. Salem is not a physical place. And Melchizedek is none other than the Lord Jesus Christ, our King of Peace. Psalm 76:2 associates Salem with Zion – the dwelling place of God. Someone said that, “The problem with living sacrifices is that they keep crawling off the altar.” The image of a sacrifice recurs numerous times throughout the pages of the Bible, and in every instance, save for maybe one, the victim dies. The first sacrifice was offered by our Lord to cover the nakedness of Adam and Eve (Genesis 3:21). The pre-incarnate Christ had to slay innocent animals (most likely sheep) in order to atone (cover) for the sin of the first couple. After this, the practice was repeated as is seen by the examples of Abel’s sacrifice (Genesis 4:4) and Noah’s sacrifice following the Flood (Genesis 8:20-21). More than a thousand years later God codified the practice through the Mosaic Law. 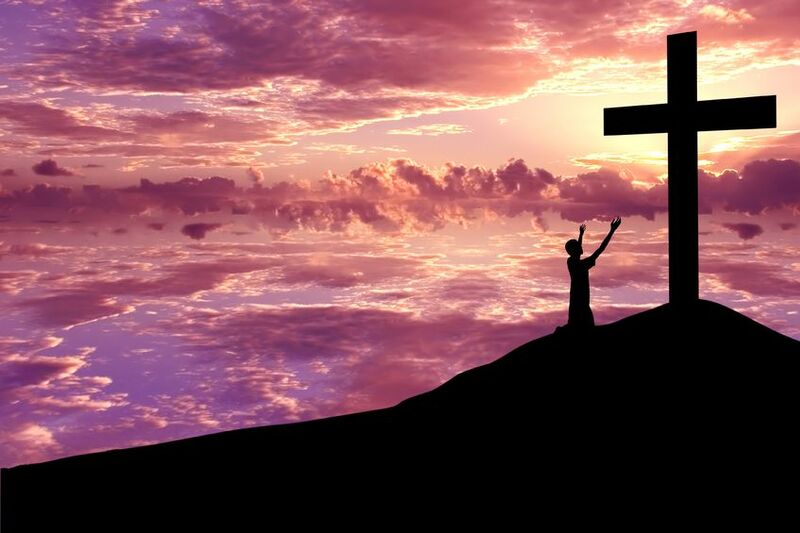 Jesus offered the ultimate sacrifice with His death on the cross. That event ended the death requirement for the sacrifice. The one instance where the victim was spared was in the case of Abraham sacrificing Isaac (Genesis 22). In his heart, Abraham sacrificed Isaac in obedience to God. “By faith Abraham, when he was tried, offered up Isaac … Accounting that God was able to raise him up, even from the dead; from whence also he received him in a figure” (Hebrews 11:17, 19). Even though Isaac was spared, a substitute took his place (Genesis 22:11-13); someone or thing had to die. However, “it is not possible that the blood of bulls and of goats should take away sins” (Hebrews 10:4). At last, the blood of Jesus offered the final solution to sin so that neither death, nor the shedding of blood remains as the debt requirement for sin. As the old hymn says, “Jesus paid it all; all to Him I owe.” Even so, sacrifice, for the believer, still remains. The English word “sacrifice” translates various Hebrew and Greek words each with differing shades of meaning. The first occurrence of the English word “sacrifice” is found in Genesis 31:54 where it translates the Hebrew word zebach meaning slaughter. In Exodus 23:18 it translates the Hebrew word chag meaning festival or victim. In 1 Kings 18:29 it translates the Hebrew word minchah meaning offering or present. As used in our beginning verse, the Greek word is thusia which is the same as the Hebrew zebach meaning slaughter. Paul calls us (brethren) to present our physical bodies as “living sacrifices” – slaughtered lives. That seems oxymoronic. How can a slaughtered person live? To the Galatians Paul writes, “I am crucified with Christ: nevertheless I live” (Galatians 2:20). Again, how can one crucified live? Obviously Paul cannot be referring to physical death. Elsewhere he explains: “that he [Jesus] died for all, that they which live should not henceforth live unto themselves, but unto him which died for them, and rose again” (2 Corinthians 5:15). Hence we die to “self.” “For if ye live after the flesh [i.e. “self”], ye shall die: but if ye through the Spirit do mortify the deeds of the body, ye shall live” (Romans 8:13). The Greek word translated “mortify” is thanatoō meaning “to kill,” or, in keeping with our theme, “sacrifice.” Note also that the means by which this is accomplished is “through the Spirit.” That source of power comes about by only one way. “Therefore if any man be in Christ, he is a new creature: old things are passed away; behold, all things are become new” (2 Corinthians 5:17). This newness is that of which Jesus spoke when He said, “Marvel not that I said unto thee, Ye must be born again” (John 3:7). Through the rebirth and by the power of the Spirit, the Christian can put to death the old self and present his body as a living sacrifice that is “holy.” That does not mean sinless or perfect. “Holy” means to be set apart, consecrated, or dedicated to God. Holiness is an attribute of God that sets Him apart and above all of His creation. This is why God cannot abide sin and why He must judge and ultimately punish sin. Although we cannot obtain holiness that approaches the holiness of God, yet God demands holiness from His children. “But as he which hath called you is holy, so be ye holy in all manner of conversation; Because it is written, Be ye holy; for I am holy” (1 Peter 1:15-16). Lamentably, Christians these days fail to understand the meaning of holiness. Many think that just because God’s invitation is “Just As I Am” that nothing needs to change. Perhaps they “walked the aisle” to the words of that old hymn, shook the pastor’s hand, and got dunked in the baptistery at some point in their life, and they presume they are okay. They continue living “just as I am.” But God demands holiness. How does one achieve holiness? In the following verse Paul says, “And be not conformed to this world: but be ye transformed by the renewing of your mind” (Romans 12:2). In other words, do not allow the world to shape you into its mold. Someone once asked, “If you were accused of being a Christian, would there be enough evidence to convict you?” Sadly when one looks at Christians they are indistinguishable from non-Christians. They dress the same as non-Christians. They talk the same as non-Christians. They indulge themselves as non-Christians. There are absolutely no distinguishing characteristics. God says, “do not be conformed to this world.” Rather we should be “transformed.” Here again is the idea of being “born again.” The Greek word translated “transformed” is metamorphoō from which we get our English word metamorphosis. “Metamorphosis to the adult stage is nothing less than a biological miracle. Complex molecules called enzymes are released, that literally digest the caterpillar while it is ensconced in the chrysalis, converting it into a rich soup of disjointed tissues and cells—which after four days becomes an adult butterfly.” In a manner of speaking, the caterpillar dies, and its liquefied self is “transformed” into a beautiful butterfly. In similar manner, when the person is born again, there is a spiritual transformation that takes place so that the old self is sacrificed and the “new creation” is set apart, dedicated as an acceptable offering to God. That acceptable offering is “your reasonable [logical] service” to God. The Greek word translated “service” is latreia meaning ministration or worship of God. This suggests that all of your life should be conducted as an act of worship to God. It has nothing to do with going to church on Sunday and lifting your hands while you sway to the “worship music.” Your acceptable worship to God is your life – all of it. Here is where the “living sacrifices” crawl off of the altar. Too many Christians think of worship as what they do on Sunday mornings. Then on Monday, it’s back to conforming to the world. In order for the metamorphosis to become at least semi-permanent, there must be a “renewing of the mind.” That can only take place when the Christian spends time in daily prayer and Bible reading. Instead of reading worldly books, read books by excellent Bible teachers that will build you up. Instead of wasting a lot of time watching worthless, or, worse, harmful television programs, watch and listen to great Bible teachers on TV, DVD or the internet. In other words, fill your mind with the things of God. That will give you a godly perspective on life and the world, and it will change the way that you think. When your thinking changes, the way that you conduct your life will change also. When that happens, you will be set apart – holy – a living sacrifice, acceptable to God. Have you ever been mad at God or do you know someone who is, or has at some time been mad at God? People get mad at God for various reasons, all of which are unjustified, but more on that later. Some are angry at God, and therefore doubt His existence, because they see evil in the world, and they hold God responsible for allowing it to go on. They reason that either God does not exist, or if He does exist, He is either indifferent to evil or impotent to do anything about it. Others are angry with God because at some point God did not answer a specific request in the specific way they requested. Some are mad at God because after years of faithful service God disciplines them for some sin they commit. That was the case with Asa, the fourth king of Judah since David. David was not perfect, but he had a heart that sought after God. Solomon started out strong seeking wisdom from God rather than riches, but in the end his weakness for women sucked him into paganism and idolatry. Rehoboam listened to his friends rather than the advice of the old men, and his lack of wisdom divided the kingdom. “And he did evil, because he prepared not his heart to seek the LORD” (2 Chronicles 12:14). What was that evil? Abijah, Asa’s father, only ruled for three years. Even though God had given him victory over Israel (the northern kingdom), Abijah followed in the godless steps of his father. “And he walked in all the sins of his father, which he had done before him: and his heart was not perfect with the LORD his God, as the heart of David his father” (1 Kings 15:3). One might think that Asa was a pretty good king. In fact, the Bible records that He “did that which was right in the eyes of the LORD.” Asa probably felt pretty sure of his standing before God, and there he failed. “When pride cometh, then cometh shame” (Proverbs 11:2). “Pride goeth before destruction, and an haughty spirit before a fall (Proverbs 16:18). So died Asa – a good king even in the sight of the Lord, but his pride and lack of repentance in the end destroyed the fellowship he had with the God he loved and the God that loved him. It is understandable to get mad at God sometimes. It’s okay. He has big shoulders, and He can take it. He understands our heart. But God is God, and we very rarely understand what He is doing in our lives. We need to understand and accept that everything that He does is right. He is never wrong, and He is never unjust. We, as His children, need to trust that He is working everything for good in our lives (Romans 8:28). So, the next time you find yourself mad at God, talk to Him about it, and even if He doesn’t give you the answer you want to hear, keep in mind that He is God, and you are not.